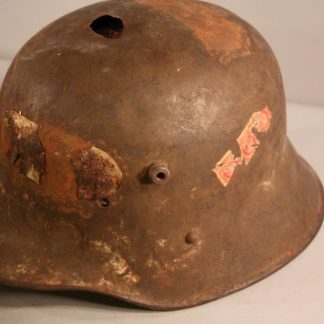 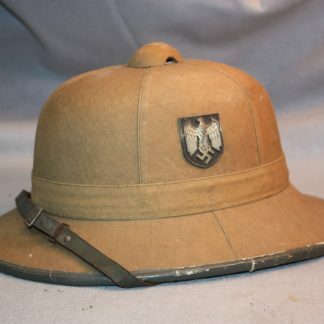 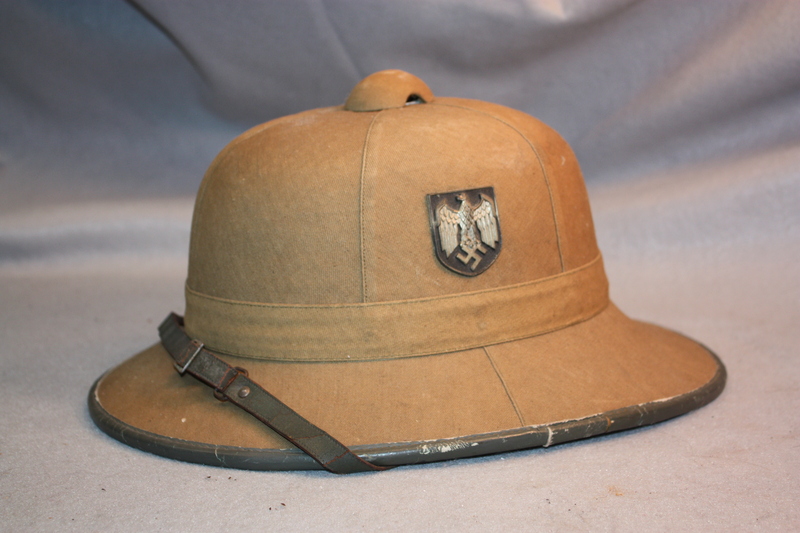 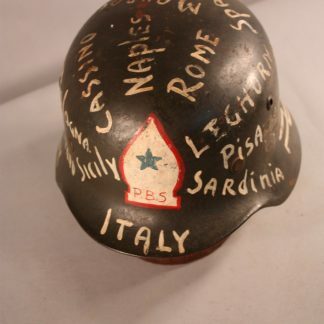 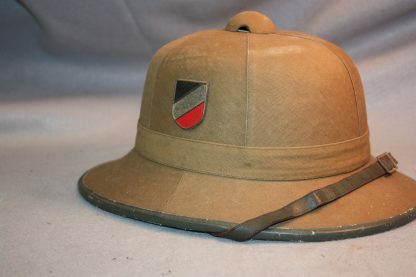 Army Pith Helmet – Military Collectibles, Inc. 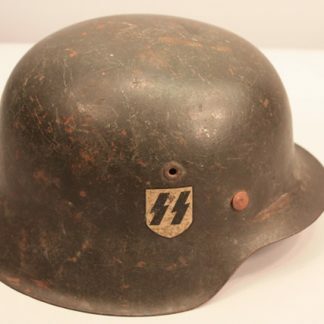 This helmet is in the tan canvas and in very nice condition. 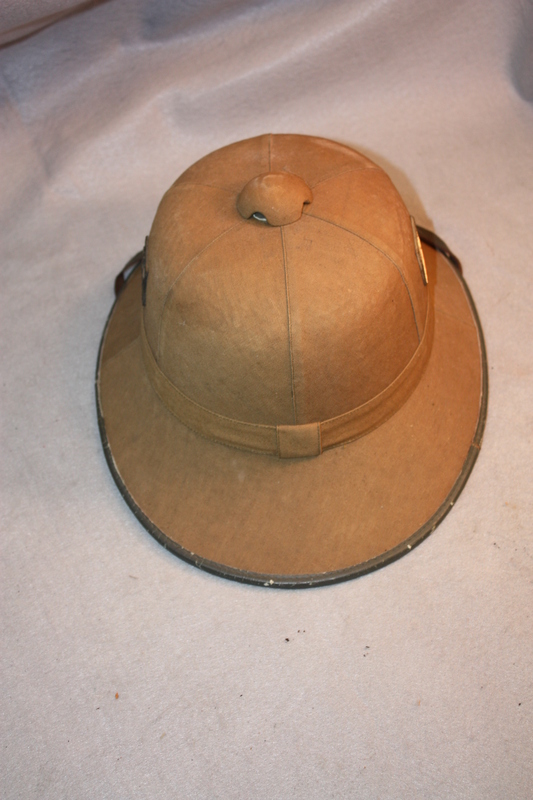 No damage and the leather goes completely around the brim. 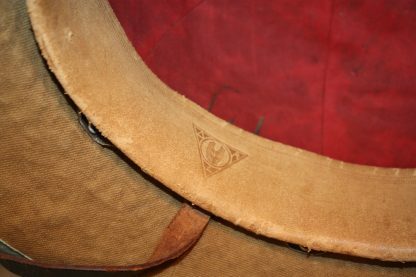 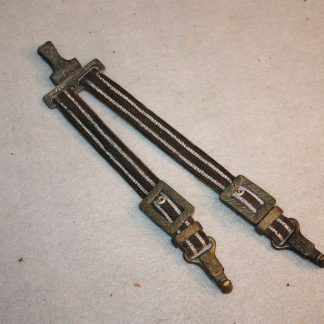 The inside is marked ORL and dated 1942. Has the manufacturers logo embossed on the sweatband. 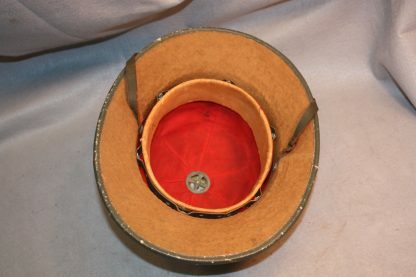 Sweatband shows minor wear and use, but no heavy damage.